5-Star Refrigeration & Air Conditioning, Inc. is a Commercial Refrigeration and HVAC Contractor located in the state of Florida. 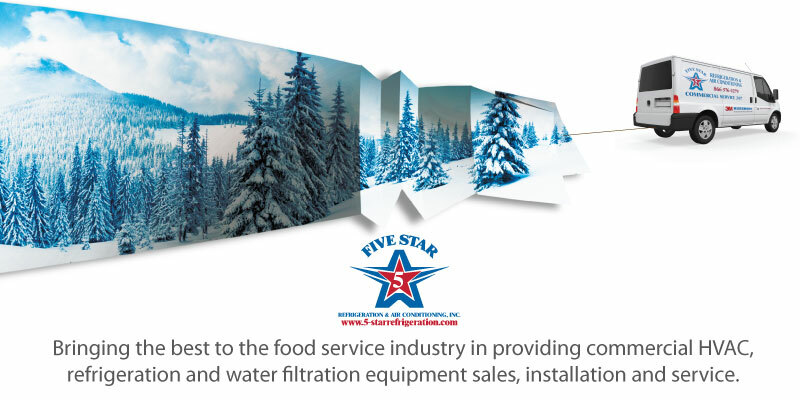 Our services include Refrigeration, HVAC, and Water Filtration, Sales, Installation and Service. Staffed by a team of “Top Notch” Professionals, our Management Team offers more than 200 years of experience and knowledge in this field. We work with many reputable organizations providing Equipment, New and Remodel Refrigeration Installations, Service, Preventative Maintenance and Water Filtration. Our mission is Continual Focus on providing our Customers with Quality Products and Value-Added Services at all times. We are Committed to the Development of Positive Business Relationships with our Customers, Associates, and Suppliers in the Food Service Industry, and we offer Sound Solutions aligned with Your Priorities and Your Needs. We sincerely appreciate your consideration of our services and look forward to the opportunity of doing business with you.